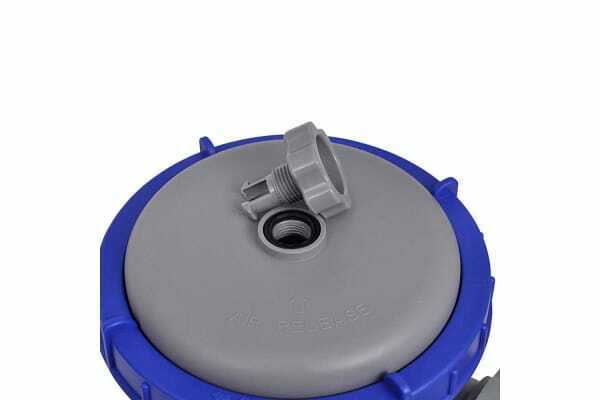 Ideal for above ground pool owners who want to keep their pool clean and clear all the time, this is compatible with Bestway Above Ground Pools measuring 18ft or more. 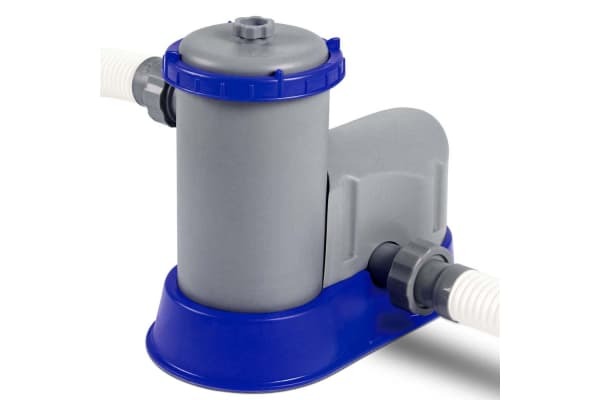 This amazing product sanitises water by pumping it through a cartridge filter with a powerful rate of 1,500 gal/hour and returning clean, clear and contamination free water, to an above ground swimming pool. 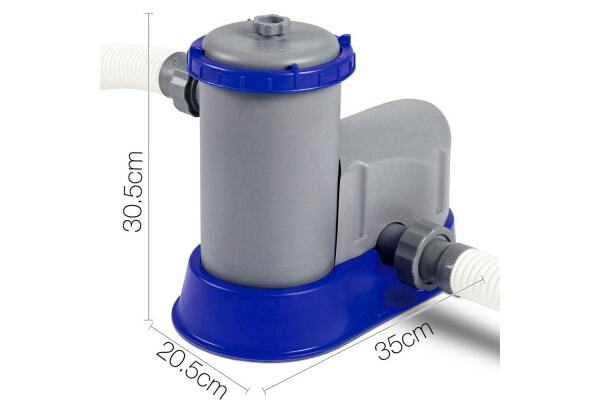 This filter pump also comes with a 4.2in x 8in filter cartridge, which traps and filters dirt and debris, transforming scummy water into clean water that you would not hesitate to jump into whenever you feel like a swim! Please note: Hoses are not included in this purchase.